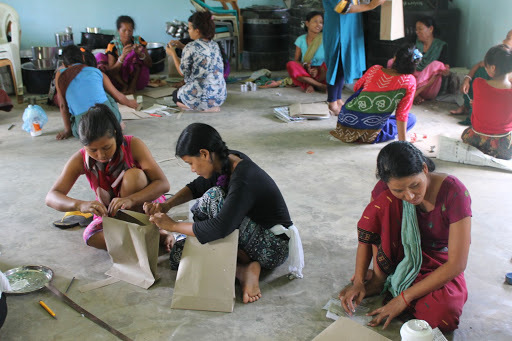 Help us to support dropouts and underprivileged youth in Nagaland undergo skill training. Every little support counts! What does CAN Youth do? Imagine children who at a tender age are exposed and brought up in an abusive environment by parents who are either alcoholic or drug users! We at CAN Youth are working towards empowering the youth especially the drop out students and underprivileged - they are the ones who are neglected, de-motivated, demoralized and most susceptible to anti-social activities. Our goal is to provide the youth an opportunity through skill and vocational training which will help them to sustain and also build a healthier, brighter, happier and a more progressive society. CAN operates projects including providing material and moral support to children living with HIV/AIDS, vocational training for underprivileged youth and organizing volunteers from different colleges and villages to engage in community service. Since our inception, we are blessed to have come across young professionals and leaders who share our passion and vision. These are youths who have given their commitment and dedication by becoming voluntary members and work with us to accomplish several programs together. With each step we take towards achieving our initial milestones, we march closer towards achieving our ultimate objective. What does CAN Youth plan to achieve? We aim to work with school/college drop-outs and underprivileged youths and enable them to transcend from dependency to independency by facilitating them to face challenges whilst enhancing their talents/abilities for a productive life. 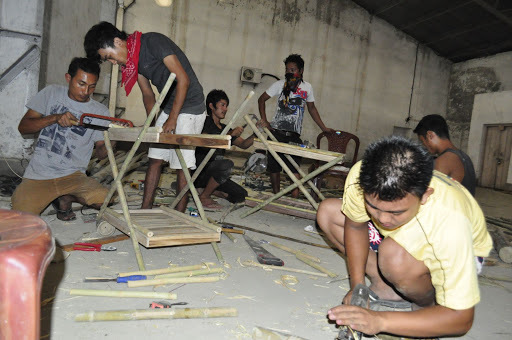 The project will be carried out in Dimapur, Nagaland, both urban and rural areas targeting 100 Youth. The project aims to reach out to 100 school drop outs and underprivileged youths aged 16 to 35 including both male and female providing vocational and skill training to sustain the project. Unskilled & jobless with little or no opportunity, many school drop-outs & underprivileged youths get pushed to the periphery and more often than not, get sucked into drugs, alcohol & criminal activities. ‘Discover Positive’ thus aims to enable school drop-outs & underprivileged youths to transcend from dependency to independency by facilitating them to face challenges whilst enhancing their talents/abilities for a productive life and a vibrant society that is accommodative and enabling. Has the project being implemented /tested? What is the success like? Wochamo Yanthan (22) is a third among four siblings - the resources generated by his father was not sufficient to support the family. Out of financial hitch he had to quit his studies when he was in 10th Std, as a young struggling youth he had to find some source of income to be financially stable but he find himself - the frustration made him to think about easy money through drugs. 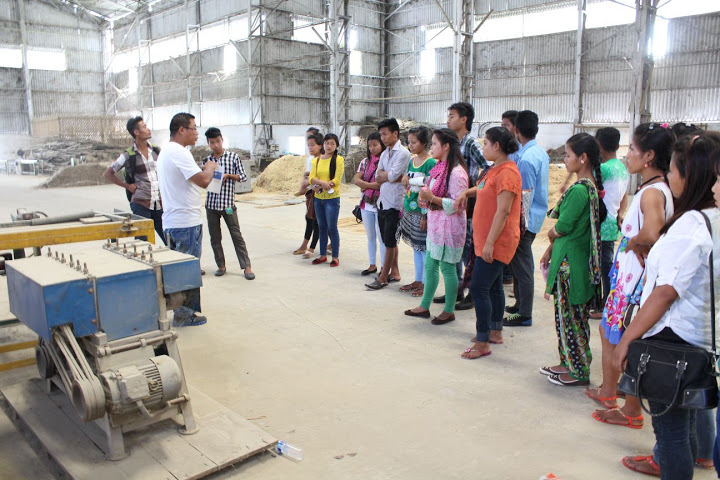 Through some acquaintance he came across CAN Youth where they helped him to undergo one month of vocational ttraining for free of cost at Nagaland Bamboo Resource Centre, Dimapur. He was trained with carpentry skills. Now he has started into these skills in carpentry like making tables, chair beds, stool, etc. He now make a good source of income while he is a self dependant youth today. As carpentry enthusiastic he is looking forward to open up a carpentry shop soon and recruit some carpentry employee. I, Jenpu Rongmei started CAN Youth on 22nd August, 2010 with the motto ‘Let’s givem hope’. Having seen my brother fall prey to drug abuse and unfortunately dying, I decided to take the cause up. I have seen many young people resorting to drugs who are just out of school. It made me think how long will we blame the government or the people? It was time to do something. This is what made me start CAN. Our organization now supports young people and drop-out students to engage themselves in community service, organize various youth programs, events, sports, workshops etc, helping them abstain from anti social activities and to become self responsible in every field. Go Jenpu - keep moving mountains. Much love from Anagha & Madhukar! Great work Jenpu! Best wishes.